Children participating in Vacation Bible School at Immanuel in June completed a service project to help children in need who attend Porter-Leath Preschool that will provide them with healthy snacks for the summer. Our children beautifully decorated 50 boxes and packed them with a variety of healthy snacks. Each decorated box included two of each of the following items: boxes or packages of apple juice, applesauce, Teddy Grahams, Animal Crackers, Goldfish, and Mini Vanilla Wafers. 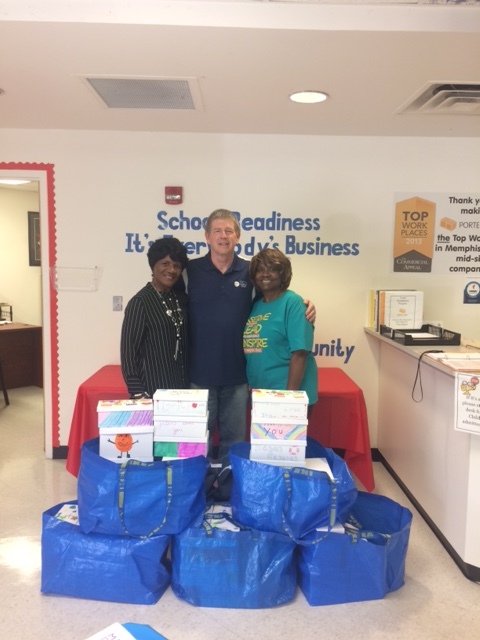 The boxes were delivered to Porter-Leath Preschool. Most of the items were obtained through a Thirvent Action Team grant. Special thanks to our VBS volunteers and children who participated for making this possible! The focus of Porter-Leath has always been to serve Memphis’ most vulnerable citizens, which includes programs designed to meet their developmental, health, and social needs. Porter-Leath Preschool promotes school readiness for children in Shelby County.